An armed group, probably the ADF-Nalu (Allied Democratic Forces / the Ugandan Liberation Army) is committing atrocities among the citizens on the territory of Beni, in the province of North Kivu in eastern Congo in recent months. The population of North Kivu has been repeatedly shocked by a rapid succession of massacres. Many hundreds of civilians have been murdered since last October 2nd. The most recent massacre dates from the night of 6 to 7 December, the deadliest night so far: at least one hundred people were killed and some wounded. The assailants attacked at eight o’clock in the evening at different places at the same time. In the villages Ahili and Mulobya they have hacked people to death with machetes. The village Manzanzaba was completely burned down, killing, among others, the village chief with his wife and children. Men, women and children were brutally put to death by the killers. 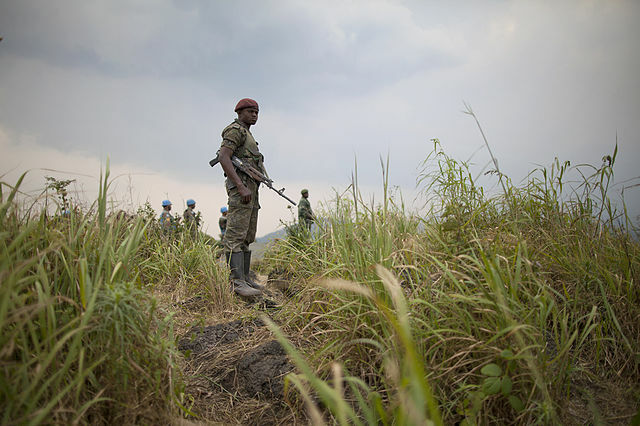 The Congolese army points at the ADF-Nalu as perpetrators. This group consists of Muslims and attempts to establish an Islamic regime in areas under their control. They are mainly operational in the Ruwenzori Mountains. However, there are strong suspicions that the Congolese army itself is involved in the killings, since some of the victims were well known as opponents of the regime in Kinshasa. The drama is not over yet. Massacres recur in places like Erengeti Oicha and Kabasha in the area Beni Oicha, and in the neighborhoods Ngadi and Matongé in the city of Beni, a city with around one hundred thousand inhabitants. There is a strong feeling of uncertainty among the population of the region. No one is safe from the threats because the police is having great difficulties to restore security.